Explore two contrasting attractions of the Vatican City. Use our Skip-the-Line access to view the huge collection of Renaissance art in the museums before spending time in the sublime Sistine Chapel. Then take the Vatican train to the newly opened Castel Gandolfo, where the Popes have stayed since the 17th century. Our No-Wait access will allow you to thankfully pass the long lines that shuffle around the Vatican walls on a daily basis. This will give you more time inside looking at art and less time outside looking at someone’s back. You will be accompanied by an expert English-speaking guide who will steer you through the best highlights of the Vatican Museums. You’ll get to see amazing cartographic skill in the Gallery of Maps, mind-bending illusions in the Gallery of Tapestries, beautiful sculptures in the Gallery of Candelabra and the light-filled frescoes of the Raphael rooms. While the museums are glorious to look at, without a guide with you it would be very difficult to take it all in. Once you are finished in the museum your guide will lead you into the incredible Sistine Chapel. As visitors must be silent in the chapel your guide will already have covered the details of the art previously with you. Using photographs and a lifetime of passionate interest your guide will show you where to find Michelangelo's sad self-portrait and the many references to his contemporaries that he sneaked in here and there. Armed with this knowledge you will be able to appreciate the frescoes that cover the walls and ceiling. As you look up at the incredible detail that revolutionized the art of Western Civilization you’ll begin to appreciate the genius that Michelangelo was and how he defied all the odds. When your time is up in the Sistine Chapel your guide will bring you through the rarely visited Vatican City meditation gardens. What many may not know is that for its size, the Vatican is one of the greenest countries in the world. You’ll pass horticultural gems such as the Rose Garden and unique parts of the Vatican like the Popes private heliport. You'll also see many rare parts of the Vatican City once you hop aboard the Vatican train which will take you to Castle Gandolfo. As it is only recently opened to the public very few people will have ever seen the Vatican in this way. Your guide will be with you to answer any questions you may have in relation to the sights that you pass. You’ll be greeted at Castel Gandolfo by an official Vatican guide. Looking out over the green Alban hills you’ll see the impeccably landscaped Barberini Gardens. They were built on top of the Emperor Domitian's villa so there is plenty of history beneath the soil. As gardens go, these are some of the most beautiful in Italy. Begun in the 17th century, there are multiple influences apparent from imperial Rome to classical gardens and Renaissance styles. Here you will see the favorite locations of popes for reflective prayer such as the Path of Roses and the Magnolia Gardens. With all the fresh healthy air in the gardens no doubt you will have worked up an appetite. Luckily you will have time to visit the local establishments and get some lunch before entering the Papal residence. After lunch, you will be given a private tour of the Papal Palace. This 17th century building was chosen for its stunning views over the countryside which you can see from the Papal terrace. Built by Pope Urban VIII and designed for popes, the building offers a fascinating insight into papal life through their downtime. You’ll get the chance to enter the Pope’s private bedroom, imagine the decisions made in the papal study and soak up the atmosphere of the papal chapel. This unique residence is fascinating in how it compares to other holiday homes for views and in how it differs in its history, such as when it acted as a sanctuary for refugees during World War 2. On this tour, you’ll see both sides of the Vatican State – its extravagant display of art that influenced the course of Western Civilisation and the well-designed gardens where the popes went to pray in peace. As you board your train back to Rome, take the time to reflect on which side had the greater impact. Can you book hotel or flights? We don’t offer any other services than guided tours at this time. All our meeting points are located in the central areas and are easy to access. Maps provided on your voucher will provide directions. When can I make a amendment to a booking? Changes made to bookings within the 24 hour window will be subject to rebooking fees to cover the cost of tickets purchased, transport, guide rescheduling, headsets and administration. We are happy to assist with this request - availability permitting. Please contact our Customer Care Team who can check availability on the tour and take payment for the additional booking, as payment details are not saved in our system for security reasons. 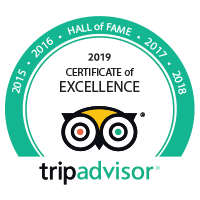 A Dark Rome tour is the product of meticulous research, detailed planning, and a passion for providing customers with travel experiences they will cherish forever. With Dark Rome it's not just facts, our passionate guides tell you the stories that bring the sights to life.